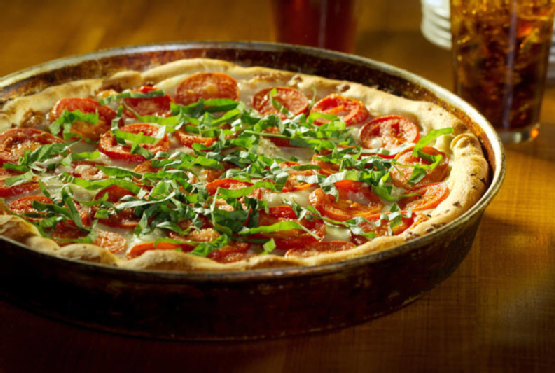 If you are looking for traditional Chicago-style pizza in San Jose or Palo Alto, look no further than Pizz’a Chicago. Whether you are dining on your own or with a large group, we do everything we can to make you feel like part of the family. With a friendly staff, a cozy atmosphere, and a delicious menu, we more than satisfy your pizza cravings. Check out this video to learn more about what you can expect from your next trip to see us. Pizz’a Chicago is always here to bring you authentic deep-dish pizza. Whether you want to join us in the dining room or order a pizza, our menu always delivers. To learn more about our pizza selection, check us out online or call (408) 283-9400. Not only does garlic bring plenty of flavor to your pizza selection, but it also comes with a host of health benefits. Garlic is high on taste but not on calories. This means that you can eat it to please your taste buds without going over your daily calorie count. It also helps control cholesterol levels and reduces the risk for heart disease. Luckily, the pizza place has plenty of menu options with garlic so you can easily enjoy these health benefits. Spinach is full of important nutrients like iron and vitamin K, which enables the body to clot blood when necessary. It also has more than 13 flavonoid compounds that can lower a person’s risk for cancer. 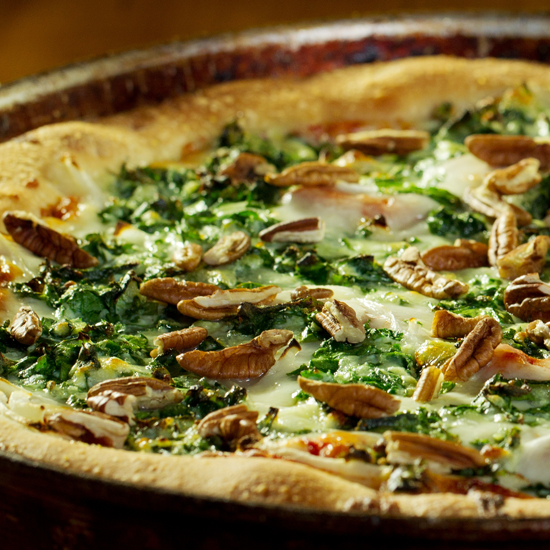 Add some spinach to your next pizza to give your body these important nutritional benefits. Mushrooms are already a popular pizza topping because of their unique flavor. Did you know that they also add important health benefits to a slice? An entire cup of mushrooms is only 15 calories, so you do not have to feel guilty if you order a pie with a lot of them. Mushrooms are largely made up of protein and might even lower a male’s risk for developing prostate cancer. Chicken is one of the best sources of lean protein that you can find. Add some chicken to the top of your pizza to get flavor while filling your body with protein that can help you build muscle and burn fat. When you get pizza from Pizz’a Chicago , you can order it to your tastes. Whether you want to top your next pie with spinach or ham, we ensure that you get the exact meal that you want. To learn more about our Chicago-style pizza in San Jose and Palo Alto, visit us online or call (408) 283-9400.